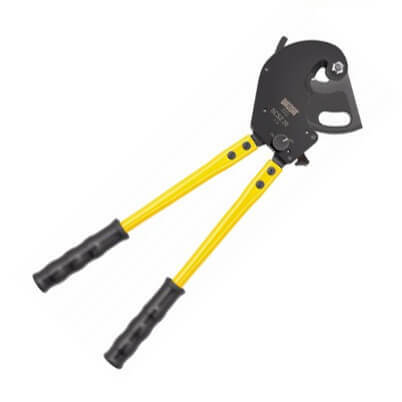 Hand Held Ratchet Wire Rope Cutters for up to 20mm Wire Rope. Ratchet cutter for flexible wire rope to 20mmØ. For Niro- and hard drawn wire ropes to 16mmØ. Blades releasable at any point during cutting.